But a fuel system service isn’t a scam; it’s a real service with real benefits. What’s more, it isn’t even all that new. Chances are you’ve been having your car’s fuel system serviced for years and just didn’t know it. Today most cars use electronic fuel injection systems. The gunk still builds up, but now it’s down inside the fuel injectors and fuel rail. And those injectors are very precise devices, working on clearances measured in microns. It doesn’t take a lot of dirt to cause a problem with fuel delivery. A fuel system service is a great way to clean out the deposits in the fuel system and get it working the way it’s supposed to. That simple service can improve performance, increase gas mileage, and reduce emissions. Of course, not every fuel system problem is caused by dirt or deposits. Sometimes the system can require a more complete diagnosis and repair. 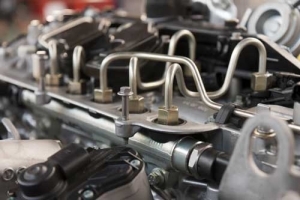 That’s okay; the technicians at your nearby Cottman center can diagnose pretty much any fuel system in use today and get it operating like new.